Christian women adore Beth Moore. At this moment 91% of them are either in the middle of a Beth Moore Bible study or about to start another Beth Moore Bible study. Christian women's enthusiasm for Beth Moore may be commensurate with the Catholics’ enthusiasm for the Virgin Mary. so why is she so popular? only she wasn't a holy vessel that bore the child of god. Yeah, I do NOT get the obsession. However, Moore seems to fit Dillard's description as a part of a packaged tour of the Absolute. I don't know who Beth Moore is. Could you explain a little more about her? I wasn't sure where to suggest other things Christian culture likes, but I just wanted to propose Fireproof, that "marriage-saving" low budget Kirk Cameron flick and Joshua Harris (I Kissed Dating Goodbye, etc), spokesman for courters across America. Ah, Fireproof...that movie was painful to watch, albeit entertaining. "dude also had some funky beliefs about Jesus too... (basically he blended Greek philosophy with the Gospel...)"
Yup. So does the whole Western Christian world. Check it out some time. The church is up to its cultural eyeballs with Greek thought. I'm not defending Origen, per se, but you argument is on pretty shakey ground mister. And, I doubt you really believe in "literal" interpretation of the Bible. Even the most fundamental among us have to fudge here and there. I mean, do you think that Yahweh turns into a mother hen to gather her chicks around her, and then morphs into a breastfeeding rock? Yup. Both in there. None of our translations, in any language, are truly literal anyway. It's impossible to translate from one language to any other without some interpretive work in the process. Languages aren't simply one-to-one equations. Unless you read Ancient Hebrew, Koine Greek, Latin, and Aramaic fluently, you are depending upon the interpretive work of Bible translators. Seriously, the Bible can't be interpreted from a strictly literal approach. We need a range of interpretive tools. 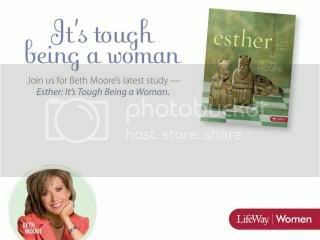 "what IS up with Beth Moore anyway? I know! She scares me. She's probably super boring in the sack. I tried to do one Beth Moore Bible Study, which included watching her on video, and I could I not do it. She is Pop Christianity at its finest, and plus, she yells. I think women like to be told that yes, their lives are messed up, yes, they have failed, they haven't had enough faith, but of course this time with Beth Moore they will get it right! In all fairness, some of us Christian women like Beth Moore because she's one of the few Bible Teachers who actually digs in to stuff. Try looking past the surface. Catholics ARE Christians. 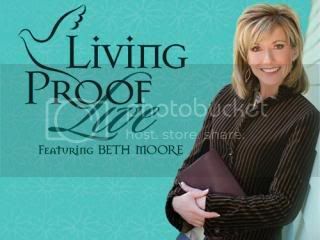 I've never heard of Beth Moore. As for Beth Moore, I completely agree with Steph and would add that she's often aberrant and mangles Scripture badly. She hangs with the prosperity crowd and has adopted a lot of their "teachings". Our church stopped doing her studies over a year ago. Yeah.. Dig the site, funny stuff.. but calling this "Christian" culture is really one of the funniest things about it..
you're being tongue and cheek, right? parodying characteristically obtuse evangelical anti- Catholic/Orthodox provincialism and obliviousness..? 'Cause I'm a Catholic Christian, and uh, most everything we do as a Church is a profound mediation on the Incarnation, the Trinity. Our sacramental life: liturgy, prayer, monasticism and works of mercy etc. etc. - you know, our culture - is nothing at all like anything you describe here. And there are a hell (heh) a lot more of us Apostolic Orthodox/Catholic Christians out here, than there are American evangelicals.. like well over a billion more..
And who ever this woman is, I really rather doubt evangelical women venerate her like we do the Blessed Theotokos.. I would say that that comparison is almost sacrilegious it weren't so silly. But whatever. Carry on, Peace out. I'm going thru all the posts to see which ones I perform myself. Anyway, I had to chuckle at this and comment because I love the gift God has given Beth Moore -- I'll be you have that "gift" talk somewhere in here -- and I'm in the middle of her Psalm of Ascents study right now! Beth Moore has tons of personality, is an excellent speaker, and you can tell she spends a lot of time studying the Word of God just by her in-depth writings. And she's not with the prosperity crowd. She writes that in her latest Psalm of Ascents book. Thanks for the tip, Marie. Fitzhamilton, I wish the term "Christian" were being used ironically here, but I don't think it is. Being a Christian is not on the surface, it is who you are. It's your heart and your depth of Love for your creater. A lot of notes post seem really sinical and as if some people have no hope of the meaning in life & relationships. To respect & honor each other because we really are the same down deep inside. The path that you choose is your choice. Don't knock someone else because you think you are superior, or more knowledgable. Beth Moore is an awesome person, because she is not afraid to open her life up to other people & help them understand why God truely does make a difference in her life. She also disects the bible, like in biology class and does not take anyone else's opinions or ideas, She diggs into the Greek & Hebrew Meanings To enhance words that have a far deeper meaning. If you have any theology under your belt, you would understand. I know I had rather have a lot of Beth Moore's cross my path as to have a lot of the people posting on this site. Being Christian is like being a little Christ. Like a Son wanting to be like his Father, or a daughter like their mother. Portraying attributes of Christ, helping others, loving people even ones that that are hard to love, Open our eyes to people around us & care enough to do something nice for them. I personally have been fortunate to hear Beth several times. I'm not sure where the comment came from, that she yells. She's very funny, uses lots of everyday home experiences in her illustrations. And everything is from the heart. If you ever get a chance to see her, she's really awesome for Christ!! She really does do girl talk, most guys probablly are not into that.And by the way yes, the Earth was created in a literal Day. Get a Bible, personal choice NIV version or NIrV, and read Genesis 1 (first chapter) it was evening, it was moring) it a the first day. I could go on forever in Genesis, It's my very favorite book in the Bible. Look up Genesis Solution, Ken Ham, website. He is an actual creation scientist. And his coleges are an eye opener to many that don't believe or understand creation. Check it out! It's fun!! Try a little encouragement, goes alot farther than negativism!! As far as "being a Christian" goes, no one here stated that Moore is not. What IS in question is the soundness of her teaching, and doctrinally she is all over the map. She has no formal theological training, and has never claimed to be skilled in the biblical languages - she takes a word here and a passage there; same stuff you and I could get out of a commentary or lexicon. I have a great deal of systematic theology under my belt, and can point you to many reviews that "dissect" the errors in Moore's various studies. She makes claims of private revelation in almost ALL of them; reads her own meaning into the text whenever convenient; spiritualizes passages that were never meant to be interpreted in that light (like her "tent of meeting" theory); promotes pop-psychology at odds with biblical Christianity; endorses Word of Faith heresy (particularly in "Believing God" and "Breaking Free"); as takes verses way out of context ("Stepping Up" was a train wreck in this area). If you'd like specific, detailed reviews of particular studies and books to examine the problems in light of the Bible, e-mail me and I'll be happy to provide them. Real Bible scholars have been pointing out the errors in her theology for years, and she has been completely unteachable. She even attacks them in her videos, twisting the truth and making herself out to be a martyr (which is a sign of pride). Her sincerity and charismatic personality are not in question. Her lack of sound doctrine and wildly subjective interpretation of the Bible are the problems. You've hit the nail on the head with this post. I'm so sick of Beth Moore, it's like watching sheep go to the slaughter, all those women blindly following, herding into the next Beth Moore study. I was asked to help with a Bible study, and I flat out told them if it was Beth Moore, forget it! Not to mention the fact that Beth Moore, if she actually took what the Apostle Paul says literally, (and supposedly she does) should not have even written her books nor become a 'bible study' leader. Sadly, I don't think it is akin to the Catholic enthusiasm for the Virgin Mary, since Mary is venerated, but Beth Moore is worshiped. 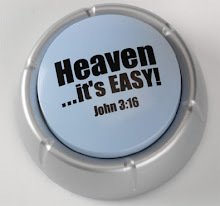 I would appreciate people generating Bible studies for women which respect the fact we can THINK LOGICALLY, and handle the same theological complexities which the men (supposedly) can. I'm enjoying the blog, I got this far (from your recent post) and just had to comment. Beth Moore raises my ire. My, my listen to ya'll. I always find a large abundance of folks like these two pontificating away about the true/proper way to believe, versus "Do you Beleive". Fine, you do not like Beth Moore, that is your choice. I think we all understand that. And actually think it is OK! We need all kinds of perspectives, ya know! Marie and OKMom please..... the pompus retoric shows a less than Chrisitian attitude, don't you think? She is not everyone's "Cup of Tea". Me, I just happened to catch her early one morning last year on TV and she struck the right cord in me. Yes, I went to see her in a live event here (and will do it again). I enjoyed her enthusiasim, wit and plain ol fun attitude. But, what you you two forget is that she stirs the right thought in some people or reinforces others to not give up, to continue to renew yourselves with new teachings, hers or whatever teachings people find that suites them. I chose to go through Beth Moores "Esther it's tough being woman "Course with my friends, and am using her Daily Journal, to discipline myself in daily prayer. BUT, I also search other areas of religious teaching to learn even more. 'And I can thank Beth for that. Please, dont chide these Bloggers that enjoy Beth Moore. Billie, it makes me sad that you would say that different perspectives are okay and then go on to shame Marie and OKMom for their "pompous rhetoric." Don't you think your rhetoric is a bit pompous as well? People here have been wounded by Christian culture because people have used it to do un-Christlike things to them. Here we are finding comraderie and realizing we are not alone in experiencing abuse from people who claim to be Christians. It's important to expose this. When you shame people here in the name of Christ, you re-open those wounds.